Leading Cuban artists pay homage to Rumba, the heartbeat of their island’s music. In-depth interviews with leading icons of contemporary Cuban music and footage of rumba sessions in the inner courtyards of modest Havana tenements, private homes and concert halls immerse viewers into the gritty world where African and European cultures met to create a spontaneous and profound form of musical expression. 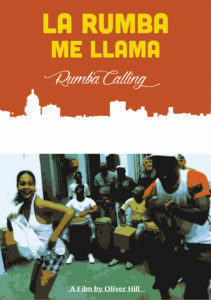 The film shows Rumba at its vibrant best, from the street up, how it’s played sung and danced today and as it always was, and what it means to the people who perform or more to the point ‘live it’, whether in the back streets or on stage, whether the musicians and dancers are commercially successful or not.